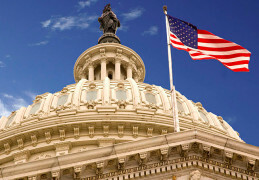 "Tell Congress: Fix the Medicare Secondary Payer System"
Commonsense reforms to the arcane Medicare Secondary Payer (MSP) policy offer a simple and taxpayer-friendly solution to increase stakeholder certainty and remove barriers to care. When a Medicare beneficiary is injured and another entity is required to pay for their health care expenses — such as in a tort case, workers compensation claim, or auto insurance payment — Congress has long recognized that Medicare’s responsibility to pay is “secondary.” This well-established Medicare Secondary Payer (MSP) policy is designed to ensure that the Medicare program does not waste taxpayer dollars by reimbursing healthcare expenses for which another entity is legally responsible. Today, however, the process by which CMS recaptures payment for claims from Medicare Advantage (MA) Plans and Part D Plans is broken. The result of this breakdown is that settling parties have no way to find out which MA Plan or Part D Plan the beneficiary is in, and therefore, cannot coordinate benefits or repay what is owed. Congress can save the federal government significant money and drive a better coordination of benefits to repay MSP claims if it mandates the sharing of certain information between CMS and settling parties — specifically, whether the beneficiary is enrolled in a MA or Part D Plan. If settling parties are simply provided with the name and identity of the plan and the dates of coverage, they will be able to resolve and repay MSP liabilities associated with settlements, judgments, or awards. This can be done in response to a “Section 111” query to provide settling parties with the necessary information of whether the beneficiaries has been, for the past three years, enrolled in an MA Plan or Part D Plan, and identify the program. To achieve a more efficient solution for beneficiaries, taxpayers, and employers, Congress should cosponsor the Provide Accurate Information Directly Act (PAID ACT) (H.R. 1375). Passage of the PAID Act will allow settling parties to repay MSP amounts, and allow for the coordination of benefits, by requiring CMS to share the needed information. Urge your Congressional Leaders to Co-Sponsor the PAID Act! Join the National Campaign for Secondary Payer Reform today! Copyright © 2013 MARC. | All Rights Reserved.